Fishing musky, muskies, muskellunge–if you want to be precise–are the sharks of cold, freshwater lakes. Lean, large predators with rows of razor blades for teeth and a desire to eat, well, everything. 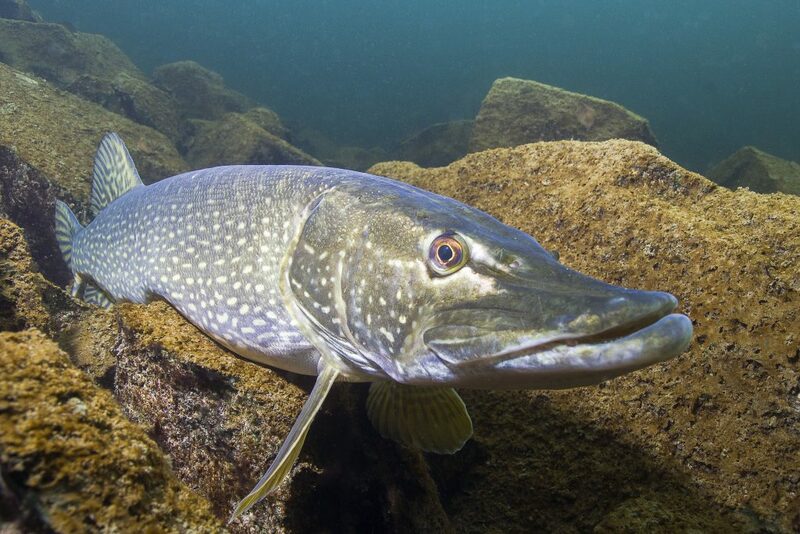 These are the largest members of the pike family and, like other pike, they are aggressive, strong, and at the top of the food chain. They are also notoriously difficult to catch. They are also a blast to catch. Weighing in at 30 pounds or more – the world record catch was nearly 70 pounds – they are fantastic fighters, aggressive, and will tax even the best angler’s skills at landing large fish. Fishing musky is like panning for gold. It takes a long time, can be very frustrating, and is worth every second when it works. So how do you catch these elusive fighters? 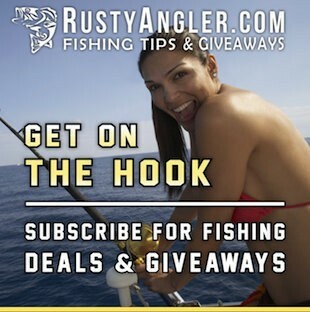 Sit tight, friends, the Rusty Angler is here to help. The problem with muskies is that they eat everything. This might initially sound like a good thing. However, since they will eat anything they like it can make it very hard to know what to use for bait. Think of fishing musky like serving food at an all you can eat buffet, but you only get paid for one type of food. 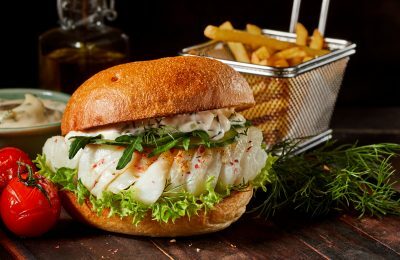 How do you get that one item to be eaten when surrounded by all the options? As you would expect, musky fishing tips abound. The difficulty is sifting fact from fiction and finding what really works. Most importantly, you need to understand that these are difficult fish to land. Start with that and the rest makes sense. Musky tackle has to be sturdy. Remember, these are strong, large fish with lots of very sharp teeth. In addition, musky are not good to eat, and the population is limited, so catch and release is essential. 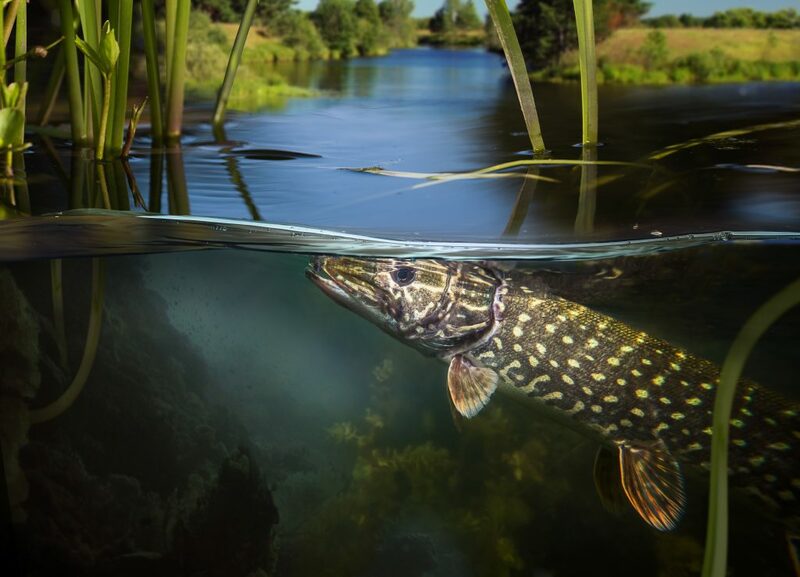 When you’re fishing for pike, musky have very sharp teeth and will bite your fingers off if given the chance. Get a quality set of leveraged cutters, pliers, a mouth spreader, and a good net or live well. Take the picture and let her go. While tiger muskies are being stocked for fishing, they are sterile and therefore should be left alone after the catch. Muskie fishing is about conservation as much as it’s about sport. Musky fishing rods need to be strong, sturdy, and large. Think nine feet or longer. Reels also need to be able to handle the stress and pull of these goliaths. Musky fishing lures can top $25 or more, so ensure you get a strong leader. The same is true when choosing line. Make it reliable. While musky fishing tackle can get expensive, if you go cheap you will lose more than you save. 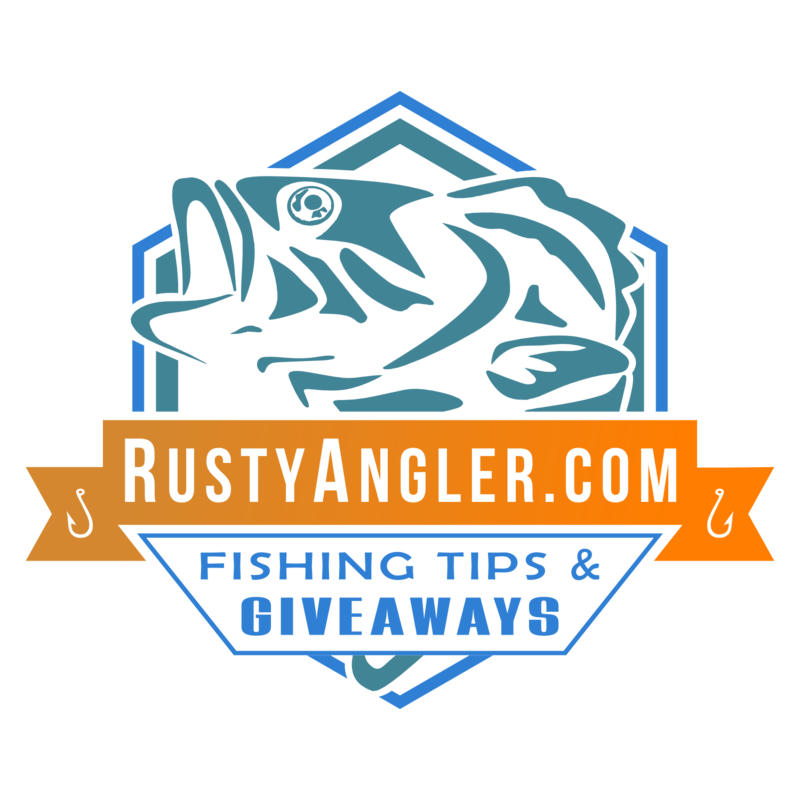 Take advantage of the Rusty Angler’s fishing sweepstakes and fishing giveaways to ensure you get the best you can at the cost you can afford. A good fishing giveaway will allow you to get that high-priced gear without going broke. Fishing promotions are also a good way to go when getting musky gear. 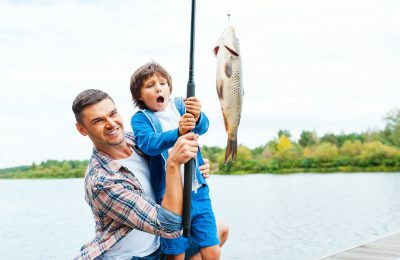 With the right promotion or fishing contest, you can get everything you need and still have enough left to actually go fishing. Like the proverbial gorilla, a musky eats whatever it wants. That means your lures need to be varied and available. A good musky fishing tip is to be like a Boy Scout – prepared. Musky fishing techniques are a little different as well. The most important is the figure eight. Muskies will follow a potential meal before actually eating it and that includes your bait. Coax that fellow with the figure eight. As you’re reeling in your bait and it gets close to the boat, start speeding up. 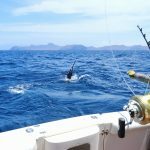 You never want to reel slower in the figure eight. Put your rod tip into the water and make wide sweeping motions in the figure eight pattern. Remember, wide turns are key to success here. Musky baits vary in size and type since the fish’s food sources do as well. However, there are still some go-to lures the pros still rely upon. The best musky lures will attract and keep the musky’s attention. That’s why soft plastic bait is still considered one of the top musky lures. 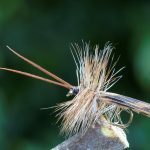 While it looks nothing like their usual prey, these soft baits move in a way that keeps the musky engaged and interested. Bucktails are another go-to musky bait, and a favorite of the tiger musky lures. These produce vibrations in the water that the musky can feel, and you can retrieve them at any speed you desire. Go with a double nine or double 10 and you will be off to a good start. Finally, musky crankbaits are always a good option, especially in the open water. These baits are easy to work and surprisingly effective and should be in every musky tackle box. The best musky fishing is in the colder regions of the north, and that means the Great Lakes and Canada. If you want the truly gigantic muskies, you need to go musky fishing Canada. Take a tour or hop on a fishing expedition, but ensure you have a knowledgeable guide. The best musky tips come from those who fish them all the time, and a good guide can make a huge difference. Since musky like the cold, they are seasonal hunters and the guides know which musky fishing boats to use to avoid scaring these elusive fish away, while also knowing where the fish will be during different seasons. So gather your gear, gather your friends, stock a lot of patience, and head North for some of the most exciting, and frustrating, fishing of your life. Just one warning, once you start after muskies you can find it hard to stop. Good luck, and happy Musky fishing.